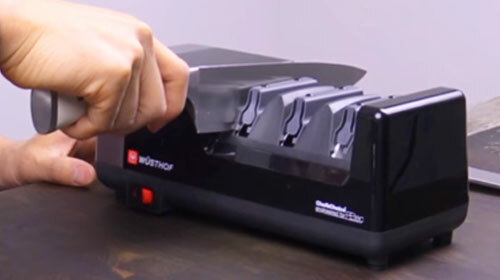 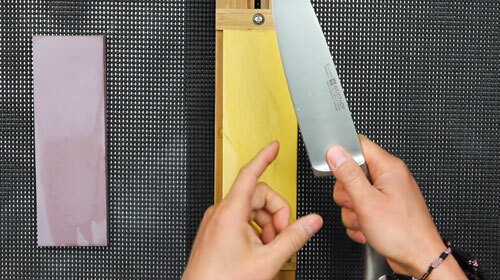 This Wusthof Cheese Knife is designed to effortlessly cut and serve your favorite hard cheeses. 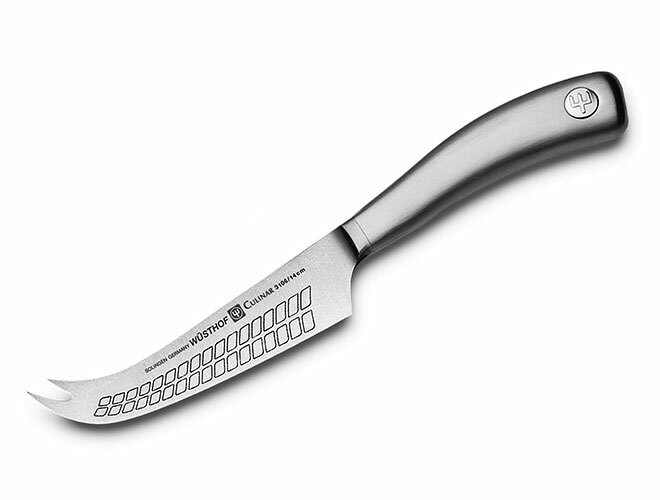 The blade is thinly shaped to allow for easy cuts through hard, textured cheeses. 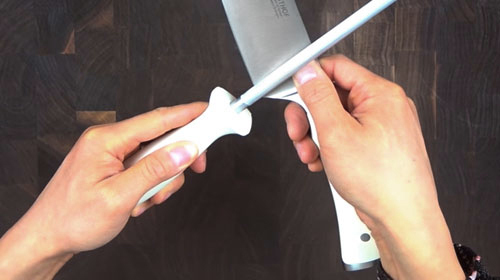 The comfortable handle gives excellent balance and heft to the knife, which allows for a smooth, clean cut after each slice. 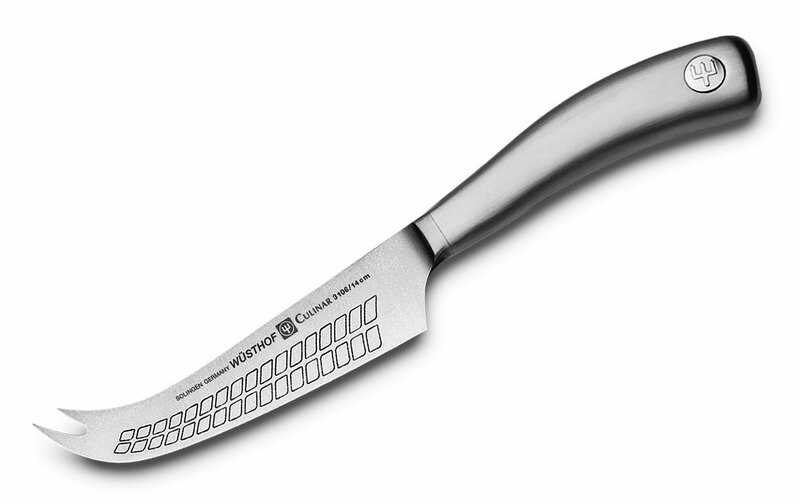 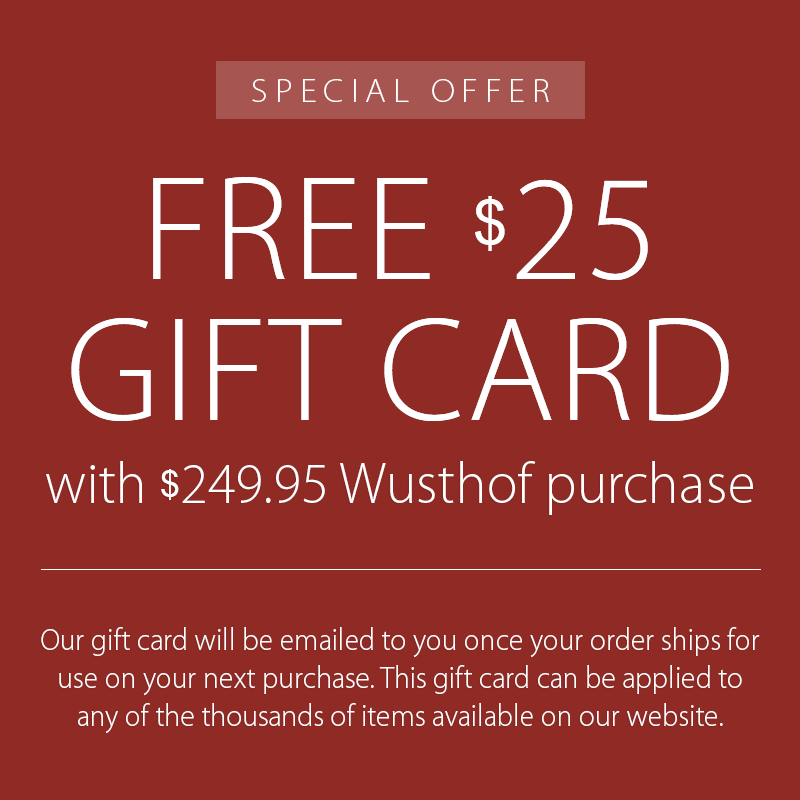 Wusthof Culinar is a Cutlery and More exclusive. 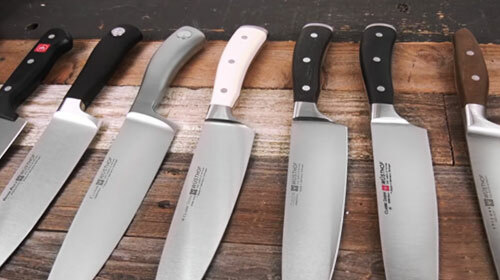 This stunning series offers the best of Wusthof knives, with the added satin stainless steel handle. 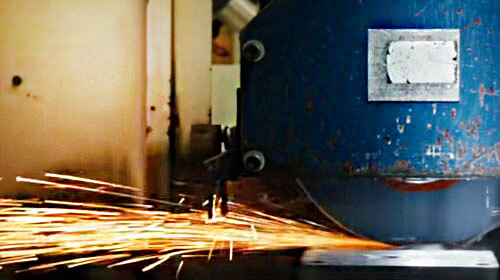 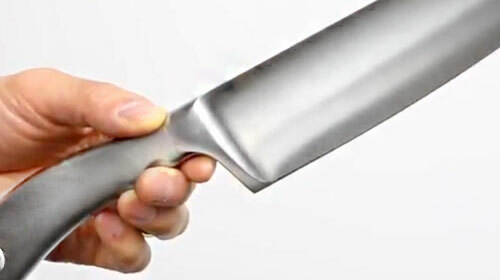 Here is a simple, easy to follow video on how to sharpen a Chef's Knife with a full bolster. 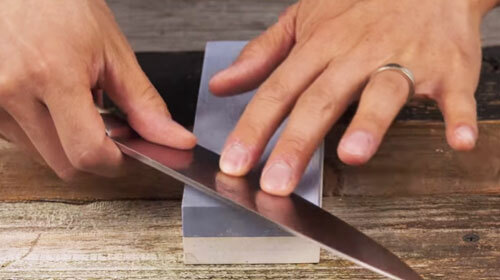 Everyone who has a knife should be able to enjoy the pleasures of sharpening on a whetstone.